Access All Areas members have some new resources to help with their web projects this week, courtesy of ecomm.design. 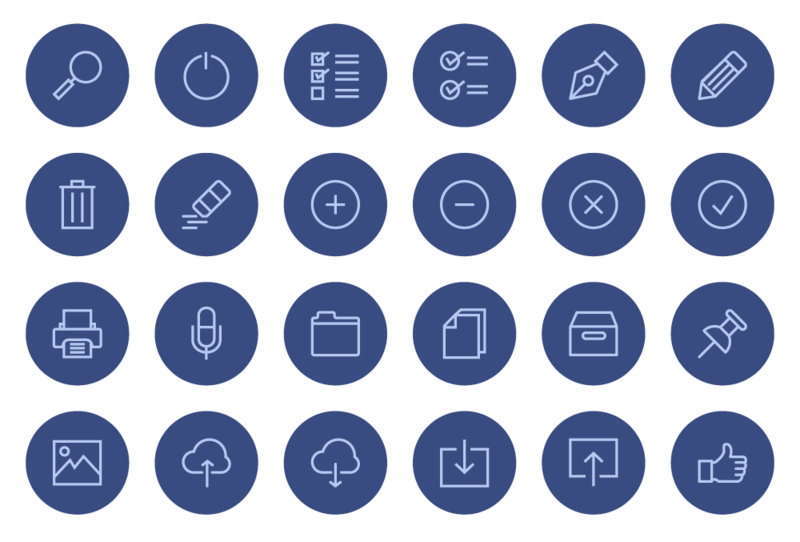 This set of user interface outline icons features 37 graphics to represent a range of common actions and visual metaphors to help you produce clean and tidy UI designs. The icons are available in vector AI and EPS formats so they can be scaled while retaining perfectly crips edges, and be easily customised with different colour fills. Individual PNG files and SVG graphics are also included in the download to round off a variety of useful formats for use in every day projects. ecomm.design is a collection of top-notch ecommerce websites. Do you love browsing design galleries for inspiration but find the only ecommerce sites featured tend to be heavily design-led boutique fashion websites? There’s nothing wrong with that, but it can be hard to find more relatable examples in other industries, especially B2B. Ecomm.design aims to showcase an eclectic mix of stores across many different verticals, with less of a focus on front-end experimentation and more on the metrics and UX practices that matter to ecommerce. This set of user interface icons is available exclusively to Access All Areas members. Each one is made with using mono-weight strokes, which gives the icons a minimalist appearance that helps you build clean interface designs, while also being easily recognisable so it’s clear as to what each graphic is visually representing. The collection contains 37 icons which cover a range of commonly used expressions and user actions. Very nice icons! Thank you!